ePublishing Knowledge BaseePublishing Knowledge BaseePublishing Knowledge Base Creating and Managing Directories & Buyers GuidesHow do I limit/restrict the number of categories readers can select when purchasing or editing Directory Listings? 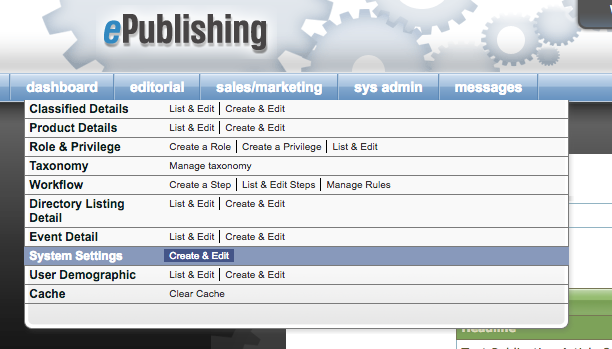 You can easily adjust the number of categories readers can select when purchasing or editing their directory listings by changing a System Setting. You can make it as few or as many as you'd like them to have. Go to Admin > sys admin > System Settings > Create & Edit. 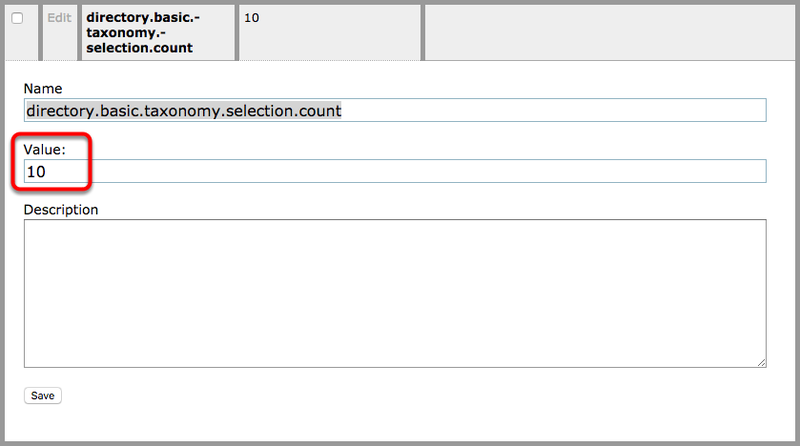 The System Setting is called "directory.basic.taxonomy.selection.count"
To adjust, click Edit, change the number in the Value field, click Save. Note: The Value field must not be left blank or it will be interpreted as 0. 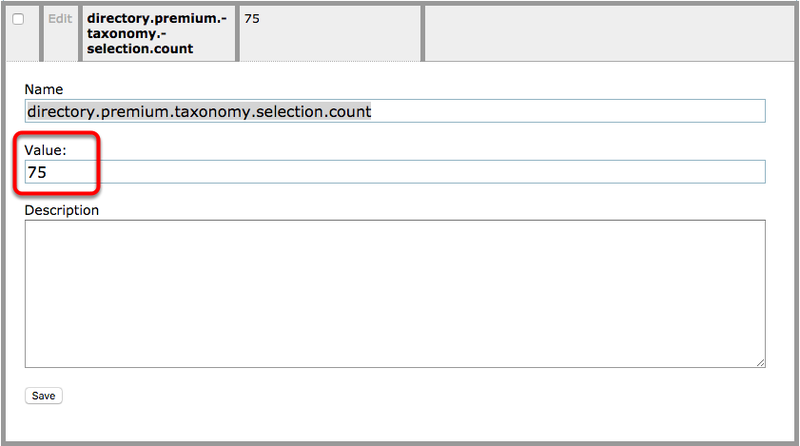 The System Setting is called "directory.premium.taxonomy.selection.count"
If you don't see these System Settings, contact your Solutions Manager and they can adjust to your liking. Prev: How do I use the Request for Quote (RFQ) Form? Next: How do I create a landing page?